People now ask me if the Ebola crisis is over. It’s certainly dropped out of the media here in the US. But the answer is, no. The outbreak stubbornly hangs on in Freetown and three northern districts. Getting to zero is proving to be more difficult than imagined. This is about changing human behavior on deeply seated traditions like burial practices. Consistent behavior change across the country remains an elusive goal. Today, March 18, the daily new Ebola case report had only one new case. That’s the lowest ever since the epidemic began. But yesterday was 14 new cases, and the last seven day total is 50. Ebola is not gone. But much of the country is hanging on to their zeros. Bumpeh Chiefdom has now gone nearly 90 days without a new Ebola case. Their district, Moyamba District, is now 22 days Ebola free. Today, however, everyone in Sierra Leone should be considered an Ebola victim. The tragedy won’t end with eliminating the infectious outbreak. The economic and social impact on the country has been nothing less than disastrous. 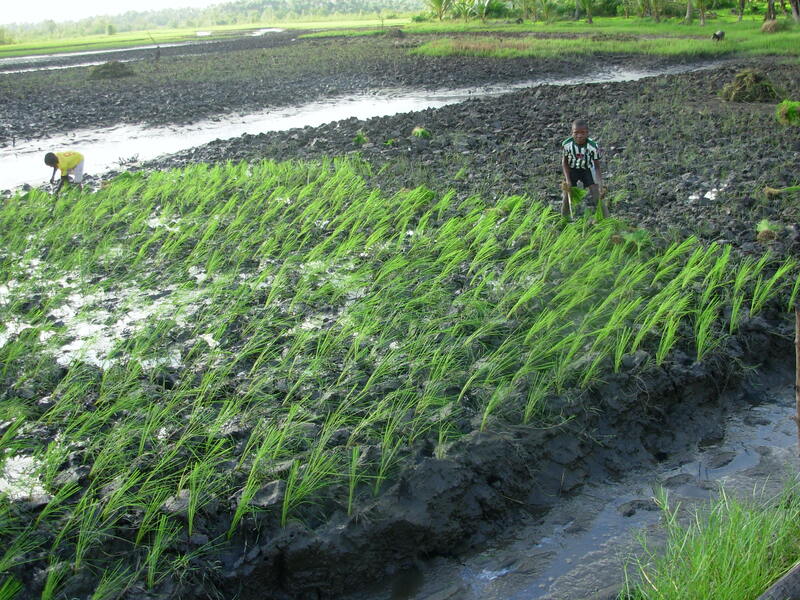 The majority of families’ livelihood is subsistence agriculture, and they are devastated. They depend on today’s market sale for tomorrow’s food. The entire country’s economic growth has fallen by two-thirds. Mining and tourism are the two largest industries that brought foreign investment and cash into the country. Tourism is of course at a standstill. Little mining goes on. 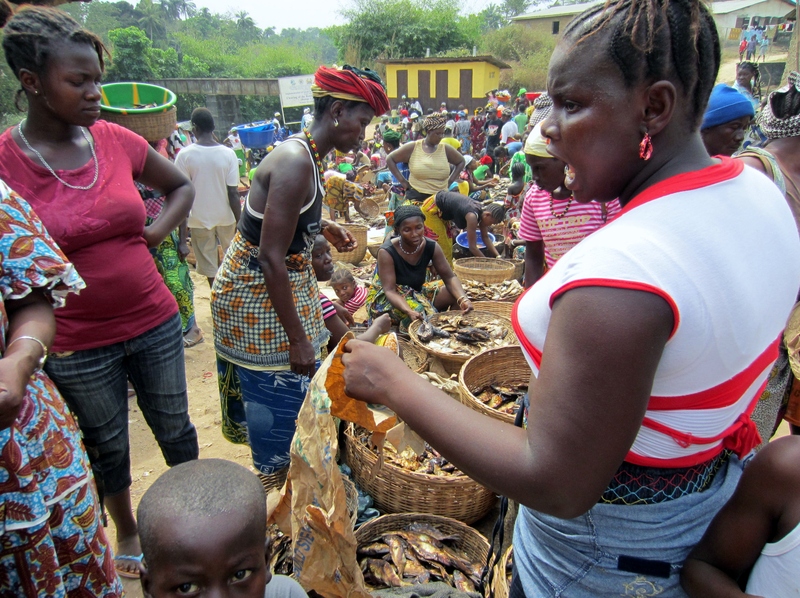 For Bumpeh Chiefdom, incomes of farmers and small traders were cut in half when they couldn’t get crops to city markets. The three month chiefdom isolation order caused some people to just abandon farms and businesses. 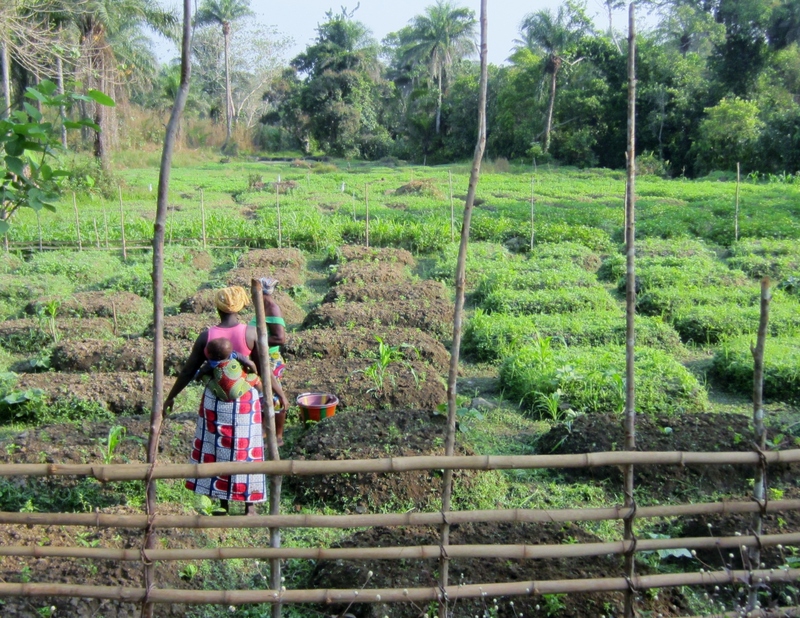 Others lost some of their harvest when seasonal laborers fled the chiefdom. Prices for food, fuel and staples at the same time increased 30%. Feeding their families is now the priority. Things like sending kids to school is a luxury for many. Bumpeh chiefdom has enough food to avoid starvation. But the poorest families rely on cheap starchy foods like rice and yams. Not a balanced diet. This can cause developmental problems over time in small children like stunting. Sierra Leone had the highest maternity and under-five mortality rates in the world even before Ebola hit. In 2012, free health care for pregnant and nursing mothers and children under five started to change this. But with health care overwhelmed by Ebola, families avoided clinics and hospitals. Many more people have likely become ill or died of common untreated illnesses like malaria, dysentery and typhoid than from Ebola, especially small children. Women and babies died because pregnant women did not seek health care, or they were turned away by health care workers fearful of the Ebola risk. The UN Population Fund estimated the Ebola epidemic may have caused 120,000 maternal deaths in the 3 countries affected by Ebola by late October – when Ebola had not yet peaked. Children are not being vaccinated against dangerous diseases like small pox. HIV goes undiagnosed or untreated. Schools have been closed for seven months and more than 60% of the population is school age children. Keeping kids out of school will have a long term effect on the country’s development. The longer teenagers stay out of school, the less likely they will return. Teenaged girls are especially affected. Pregnancy rates climbed during the Ebola crisis with over 30% of schoolgirls estimated pregnant nationwide. Sierra Leone President Koroma is calling for pregnant girls and new mothers to come back to school and complete their education. So is all lost in Sierra Leone? No! The people are resilient. The world development community learned hard lessons from Ebola on the importance of targeting local solutions and local leadership. And Sierra Leone mobilized thousands of young people eager to help their country who stay connected with social media. Sherbro Foundation goes back to our mission of supporting practical grassroots projects that quickly benefit the poorest people. Bumpeh Chiefdom’s Paramount Chief Caulker said his top two priorities now are restoring income for hungry people and sending girls back to school. So we are helping them with two urgent programs for these. The first is a vegetable growing program, so farmers can raise fast growing cash crops like peppers and quickly earn income again. 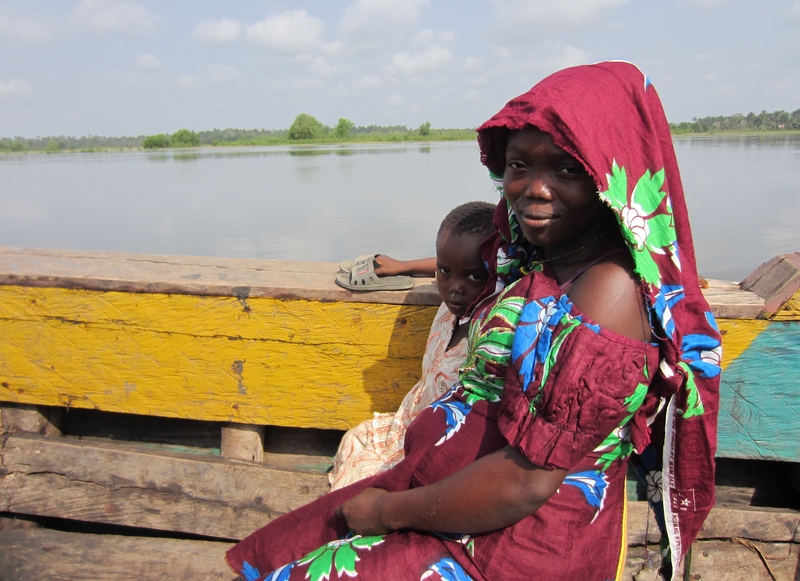 Our second urgent program is helping girls get back in secondary school. School is slated to reopen April 14. The Sierra Leone government has a grant that will cover school fees this year for all secondary school children. But the $30 school uniform and school supplies will still be barriers for most poor families. Sherbro Foundation’s goal this year is to buy school uniforms for 300 girls. More on both these programs in future posts. You don’t have to wait to help Bumpeh Chiefdom. You can donate now at www.sherbrofoundation.org/donate. Your money helps restore livelihoods and build self sufficiency. A January 27th National Geographic article on the December – January “surge” to fight Ebola is the first one I’ve read that really gets it. It’s called “How Ebola found fertile ground in Sierra Leone’s chaotic capital – How poverty and fragmentation in Sierra Leone’s capital city fueled the spread of the deadly Ebola virus.” I found this on the Nat’l Geo Twitter feed, so it’s up to date as of the end of January. Starting in Freetown, the reporter notes the usual mix of urban density and poverty that fuels contagious disease outbreaks, and hinders eradication. But he goes on to recognize an “overlooked factor (that) continues to complicate.” He notes Freetown has had 50% of all Ebola cases, but has only 30% of the country’s population. And it’s a “mishmash of people” from all tribes and all parts of the country. No unifying culture or leaders. Only elected councilors, short term by nature, who never really develop trust and respect with the people they represent. And it goes both ways; they often don’t show respect for people they represent either. 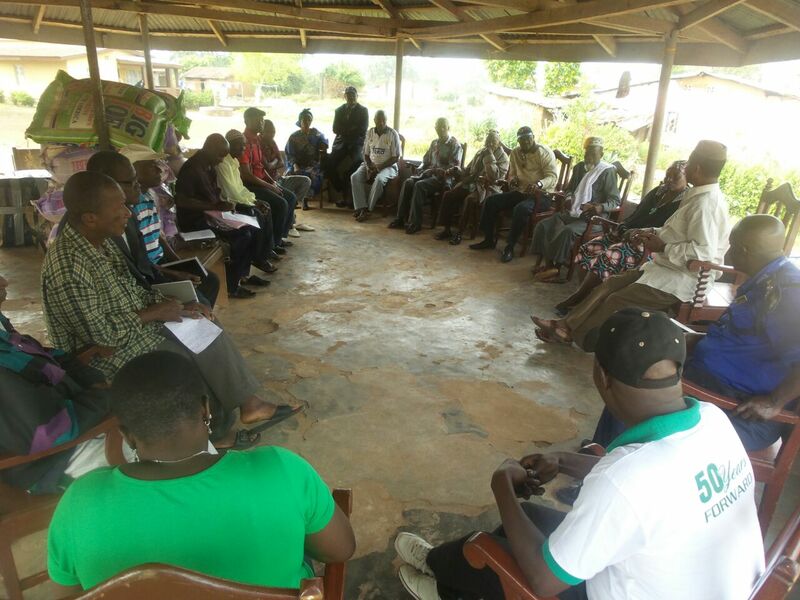 Kenema formed an aggressive Ebola task force with all local leaders. They went from being one of the two early hotspots in August, to declaring themselves free of Ebola in December. They’ve since had a smattering of new cases, probably travelers coming from other outbreak areas. These were quickly contained. With strong district and chiefdom Ebola committees, the epidemic is nearly stamped out beyond western and northern urban areas. Strong hands-on leadership of traditional leaders was pivotal in influencing change in high risk behaviors among their residents. Chiefs have a good pipeline of information and authority to take action when unsafe behavior didn’t change. Paramount chiefs united to take collective action, and with government funding in December for all chiefdoms, new Ebola cases rapidly plummeted in January. To reach people in Freetown, the government is using elected councilors and hired monitors, most of whom don’t hold much sway with disparate groups of uneducated, Ebola weary urban dwellers. It’s not hopeless. Monrovia managed it. But it’s going to take systematic and strong action – and done swiftly. From Ebola hotspot to zero new cases. This isn’t a dream. It’s reality today in a number of parts of Sierra Leone. The media was blasting news through December about a country out of control with rising Ebola numbers. Yes, the capital Freetown and northern cities like Port Loko have had high levels of new cases making Sierra Leone now the hardest hit country in the Ebola epidemic. They also put the whole country at continued risk because people continue to travel between districts. So, am I an optimist talking about zero? I drafted this story a week ago and hesitated to post it for concern people would think this is just wishful thinking. It isn’t. In the last month, numbers have been steadily coming down. The Sierra Leone Ministry of Health’s daily postings of new Ebola cases have gone from 72 cases per day December 1, to 55 cases per day December 24, to 29 cases January 2. January 12 was 19 new cases – for the entire country. Eight of 12 districts in the country have achieved zero new Ebola cases for varying lengths of time. So, what’s going on? I’m in weekly phone contact with Bumpeh Chiefdom in Moyamba District. I hear what Paramount Chief Caulker and paramount chiefs around the country have been doing in the last month. “Christmas was canceled.” Instead chiefs and other local leaders visited all parts of their chiefdoms with the task of influencing those resident behaviors that have been so resistant to change. In Sierra Leone’s culture, it’s the chiefs who have the authority to give people the difficult expectations on Ebola, like no traditional burials with washing of dead bodies And chiefs can hold their people accountable. More on this in another post. 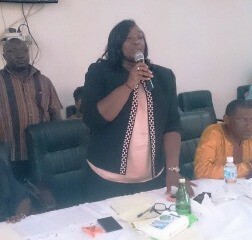 Minister of Local Government and Rural Development, Hon. Diana Finda Konomanyi celebrates 42 days without Pujehun district recording a single new case of Ebola. Today, many parts of Sierra Leone have learned how to control Ebola, and they have achieved zero new cases. Quarantines are lifted after 21 days. To be declared “Ebola free,” the magic number is zero new cases for 42 days. Pujehun District was just declared the first Sierra Leone district Ebola free, now more than 42 days. Pujehun is in the southeast corner, away from current outbreak areas. They’ve only had 31 cases total to date. But they note they share a border with Liberia, and only their strict procedures have kept Ebola out of the district. Kailahun and Kenema districts are the two original Ebola hotspots in the East where the disease first crossed over from Guinea. They both declared themselves with no new Ebola cases for 21 days or more. A few cases returned, but with fast reporting and treatment facilities available, they’ve been able to stop further spread. Five other districts are at or near zero for a number of days. This Reuters story describes where Kailahun district is today and how they did it. The last 21-day quarantine on a home was lifted on December 30. Bumpeh Chiefdom, where Sherbro Foundation does its work in Moyamba District, lifted a 21 day quarantine last week, leaving them today with no Ebola cases. 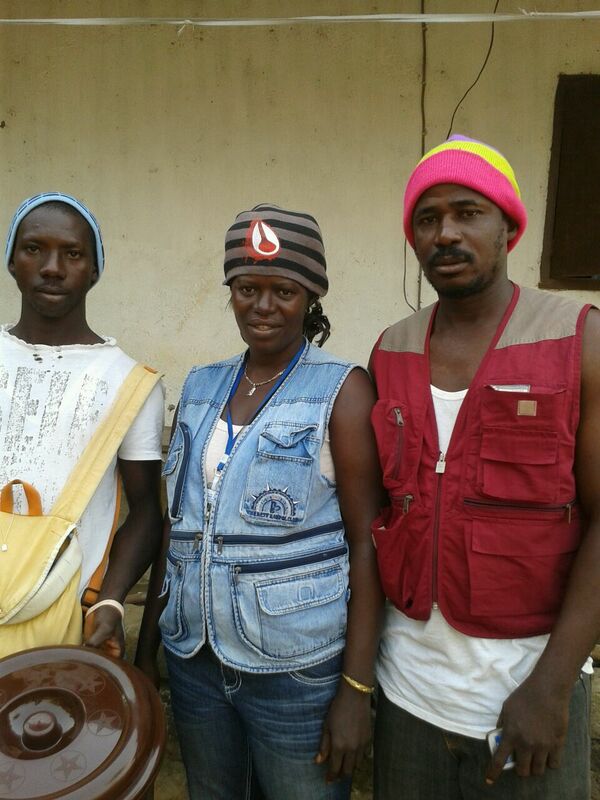 They had gone more than 42 days Ebola free. 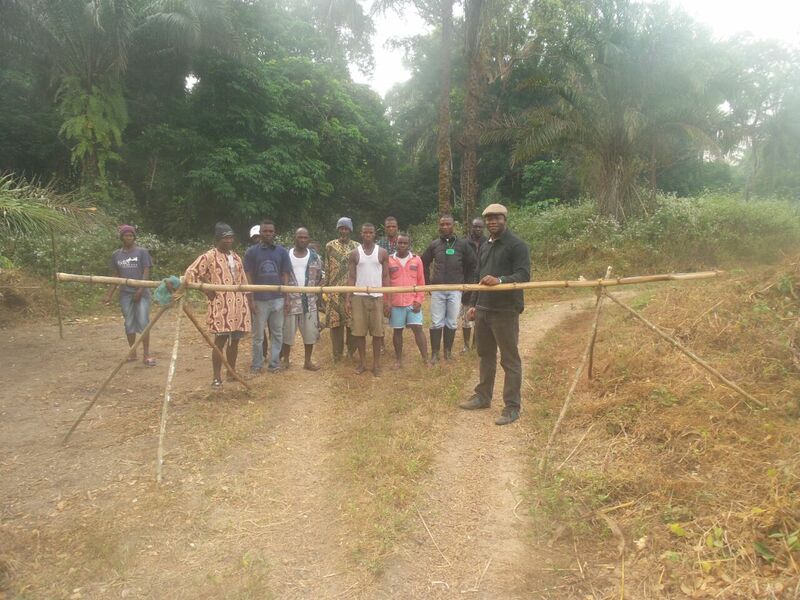 Then a family in the remote SW corner of the chiefdom crossed back and forth between Bumpeh and neighboring Ribbi chiefdom, carrying Ebola with them. It resulted in two deaths in early December in Bumpeh Chiefdom, and more in Ribbi Chiefdom. The village homes involved were quarantined. New chiefdom led check points were set up to stop movement between the chiefdoms with 24/7 monitoring . Bumpeh Chiefdom’s Paramount Chief Caulker had no choice but to arrest and fine the Section chief and village chief involved for not reporting these Ebola cases. This was the first instance in the country of chiefs being arrested for not carrying out their duties under the new Ebola by-laws. They’re subject to six months imprisonment. It’s this kind of strict accountability that will stamp out Ebola. It’s now been about 21 days and surprisingly, no new Ebola cases came out of the Bumpeh Chiefdom village quarantine. Chief Caulker speculated that perhaps all the earlier sensitization training paid off. Perhaps villagers involved in the burial understood they could become infected and improvised ways to protect themselves. We could have used this approach to Ebola treatment in Sierra Leone a while ago. Small and decentralized – placed in the community where needed. Fast start-up. But we’ll take it now. At least we’re learning from the whole Ebola experience and how to respond. Today, we participated in the opening of a 20-bed Ebola Treatment Unit in Kontorloh Community, Wellington. With USAID’s Office of Foreign Disaster Assistance funded this collaborative effort with the local community, a local non-governmental organization called Lifeline, the Ministry of Health and Sanitation, Oxfam, and Med Air, an international NGO that will operate the facility. The U.K. government provided… funding for construction. This facility is a “pilot” in the sense that it is a small facility, constructed in just a few weeks time, right in the heart of a deeply affected community. The scale of this operation allows us to be flexible and responsive to local needs. There are approximately 105 workers at the facility. I was inspired by the enthusiasm of the health care workers, who proudly showed off “scrubs” made by a local tailor. Most of these young health care workers are from the surrounding area and many of them are Ebola survivors. MedAir officials told us that they made hiring survivors a priority because they had been through Ebola and could provide motivation and encouragement to others going through the illness. The health care workers demonstrated for the community how patients are admitted and informed them that the decontamination solution does not spread Ebola. We hope that this local solution engenders trust and can convince residents to send sick relatives and neighbors to the treatment unit. What I saw today is a community determined to stop Ebola. Paramount Chief Caulker of Bumpeh Chiefdom talks about being a chief and their role during the Ebola crisis. 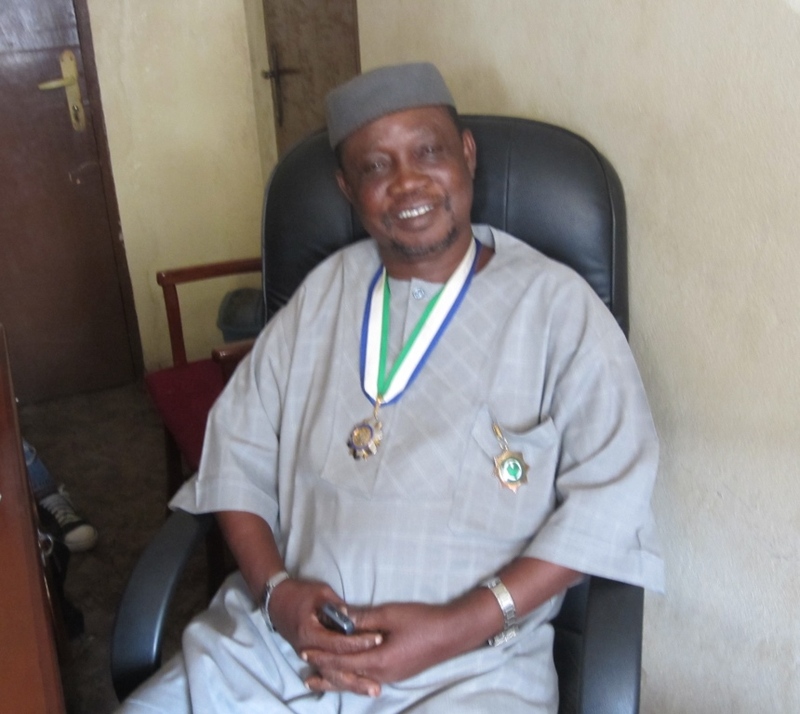 As leader of the National Council of Paramount Chiefs in Sierra Leone, Chief Caulker was interviewed by Radio France Internationale. Read the transcript here. Most Westerners don’t understand paramount chiefs are distinct from the Sierra Leone government. They’re a separate form of governance that represents every Sierra Leone resident in every part of the country, and pre-dates colonial rule. They deal with local affairs and are the first level of action in addressing resident safety, including in time of disasters. In a rural country with difficult roads and many remote villages, paramount chiefs are the first and often the only authority figure their residents will encounter. Their role is critical for something like the current Ebola crisis. Chiefdoms enact byelaws to document the customs and practices of the area. Two sets of byelaws on the paramount chief’s role in addressing the Ebola crisis were defined in recent months. President Koroma has been admonishing paramount chiefs of late to fulfill their role in breaking the chain of Ebola transmission, as defined in the byelaws. Chief Caulker discusses in the interview the need for adequate resources if chiefs are to deliver this role.